When it comes to running SubstratumNode, there are two active statuses that users need to understand. They are Serving and Consuming. Serving means that a Node user can route traffic through their Node to help the Substratum Network. Consuming continues to serve while also making private requests for itself. When a user switches to Consuming, SubstratumNode attempts to change the DNS settings to no longer rely on external services directly. Instead, it sets it to 127.0.0.1, otherwise known as localhost. 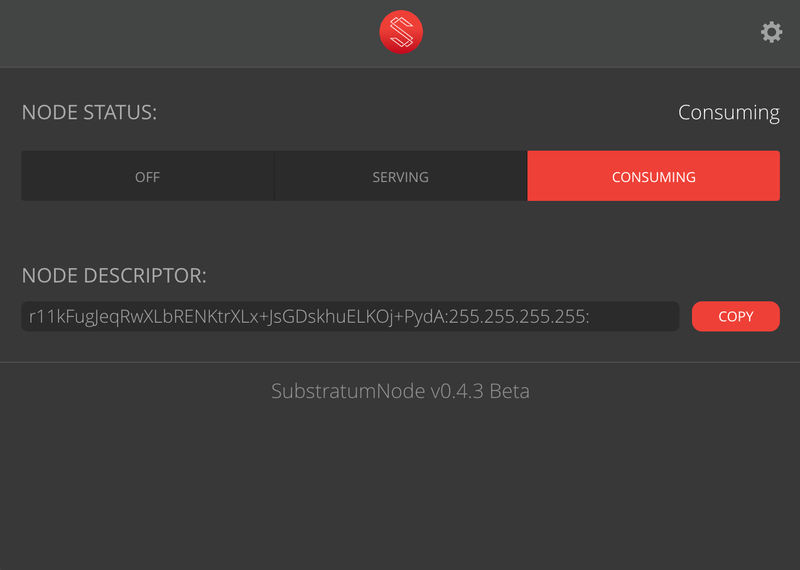 However, if the user’s computer has complex or a manually set network settings, SubstratumNode will choose not to change anything, leaving the user to make the change for themselves. We feel that this is the appropriate choice since SubstratumNode shouldn’t make assumptions on behalf of the user in those cases. Note: The Substratum Services development team is currently working on a research card that will move away from full DNS subversion by allowing application proxying, for example, being able to proxy a single browser instance. With Consuming in its current state, full DNS subversion, the SubstratumNode user needs to restart any browser instance they need to ensure the instance is picking up the system network changes; specifically the DNS changes. That is extremely important for this approach as some requests could fail otherwise because they are not utilizing the Substratum Network and the traffic will not be clandestine. As a full browser restart may not be necessary, it will ensure the user is using the Substratum Network. We hope this helps with your beta testing but also provides some insights on the inner workings of SubstratumNode. As the application evolves we are keeping these little subtleties in mind in order to make for better user experience. Application proxying is a far more promising approach and will likely be the de-facto standard for many who are needing to consume with SubstratumNode. Application proxying will likely spend less SUB for consuming as well, making greater adoption of the product possible.